Walgreen Company (NYSE:WAG), a U.S. drugstore chain, is said to be exploring the sale of majority stake of about 50% in its infusion business. The stake valued at approximately $1.5 billion. The unit that has been floated for sale, Walgreen Infusion Services, offers infusion services both at its centers and at private homes across the U.S. The company’s infusion services are directed towards medical conditions such as acute infections and bleeding conditions. The unit has over 1,600 clinicians spread across its branches. 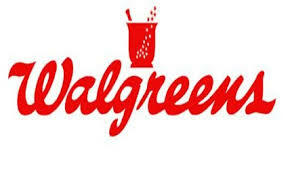 Walgreen Company (NYSE:WAG) is said to have hired Bank of America Corp (BAC.N) to conduct the sale process. Sources revealed that the sale has attracted many potential buyers including private equity firms. The offer means that the buying entity will become the majority shareholder in Walgreens Infusion Services with the prospect of $105 million in annual earnings before tax, interest, depreciation, and amortization deduction. If the sale goes through as planned, it will come after Walgreen’s competitor CVS Health Corp (CVS.N) purchased Coram LLC for about $2.1 billion in January this year. Coram LLC is a specialty infusion services and enteral nutrition business division of Apria Healthcare Group Inc.
Walgreen Company (NYSE:WAG) is currently the largest provider of home-infusion services in the U.S. This status even became stronger after the company roped in home infusion business of Omnicare Inc.
Walgreen Company (NYSE:WAG) has demonstrated a history of working with private equity firms in its business deals. The company partnered with KKR & Co LP and Stefano Pessina, Alliance Boots Chairman, to purchase a 45% stake at the company in 2012. Walgreen The company is planning to purchase the remaining 55% of Alliance Boots that’s owner by other entities for a total deal of $15 billion, broken down into cash and shares.